This St. Patrick’s Day weekend, Fort Point’s City Tap House will be saying “Sláinte!” with more than just Irish lagers and whiskeys. For three straight nights, City Tap will celebrate the luck of the Irish as their kitchen dishes out a collection of specialty items inspired by Éire’s most traditional cuisine. 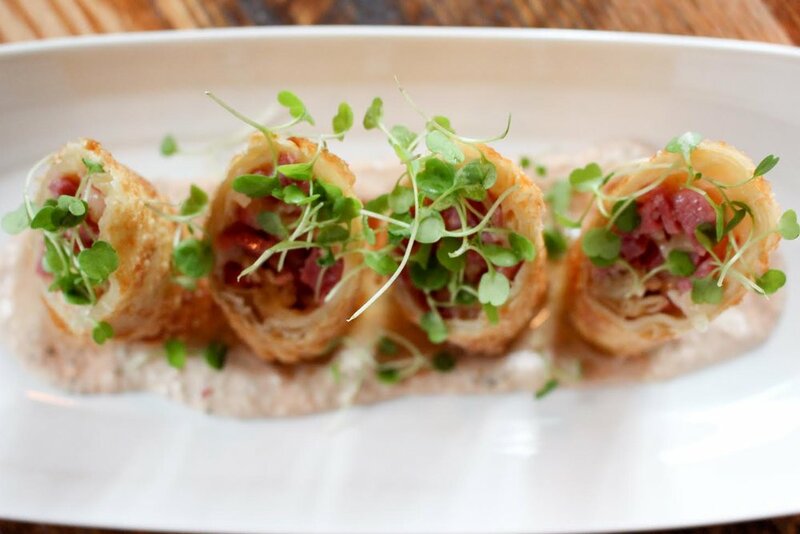 To start there is Roll with the Irish, a spring roll special with corned beef Reuben, sauerkraut, gruyere cheese and Thousand Island dressing ($8). For heartier fare, there is a pair of entrees: Corned Beef & Cabbage with boiled potatoes, carrots, cabbage, bourbon mustard and soda bread ($18) and Fish & Chips with beer-battered cod, hand cut fries and homemade coleslaw served with tartar sauce and malt vinegar ($18).